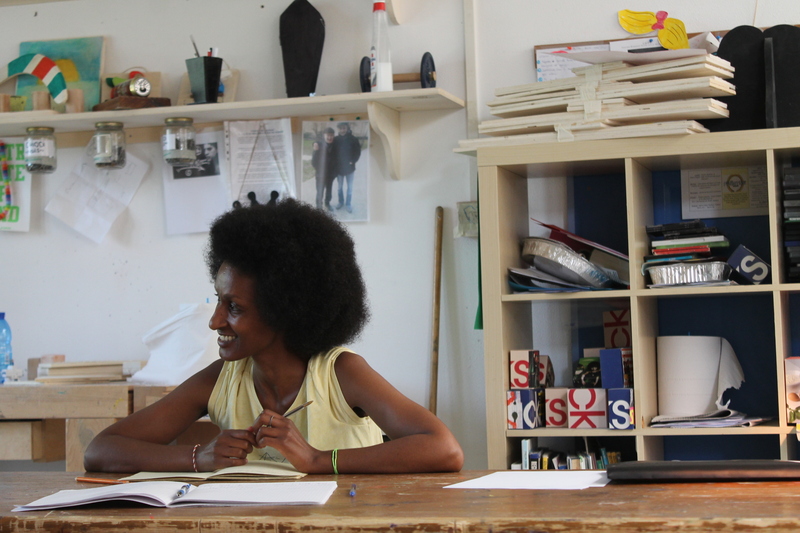 As a backstage for the creation of a sewed book, 'Punctuation', the individual workshops conducted by the Eritrean artist Muna Mussie with more than thirty women - in locations such as Biblioteca delle Donne, Scuole delle Donne, and Sala Borsa - is about to end. 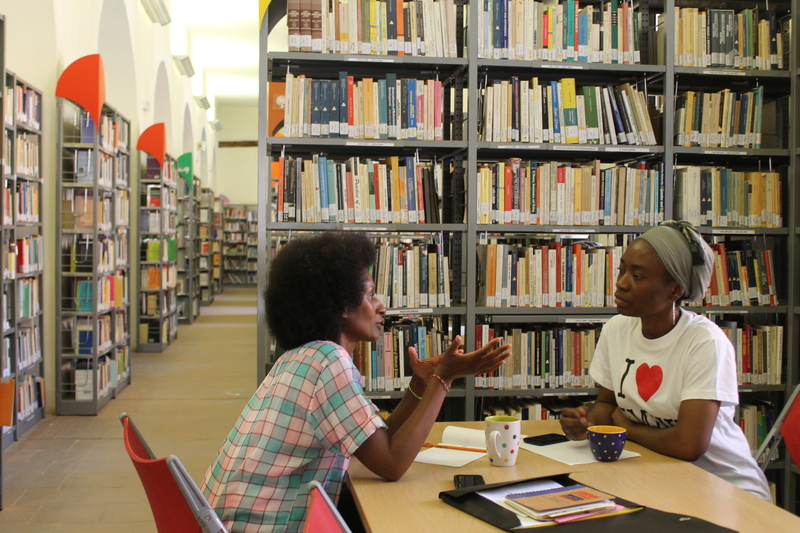 For three months, Muna has met women from various countries, aged between 13 and 70, currently and perhaps only temporarily living in Bologna, to know their personal stories and what they would write on a book, if they had the chance to. Such a book will be created and sewed by Muna Mussie in collaboration with local seamstresses and will collect the individual works of the women participating in the workshops. Their stories will be told through an original texture since, as Muna says, "this book's pages will turn into places for personal narrations". The book will be exhibited at MAMbo art gallery on 15th June, during the first day of 'Right to the City', the international festival organised by Emilia Romagna Teatro Fondazione in Bologna for Atlas of Transitions. Muna's artistic work will not produce just an artefact. Its main goal was of sewing relationships with the participants in 'Punctuation' and within the city, and it has already been achieved. According to Muna Mussie, in fact, empathy and trust between women with different backgrounds who have never met before restore confidence in the social environment in which they all live. 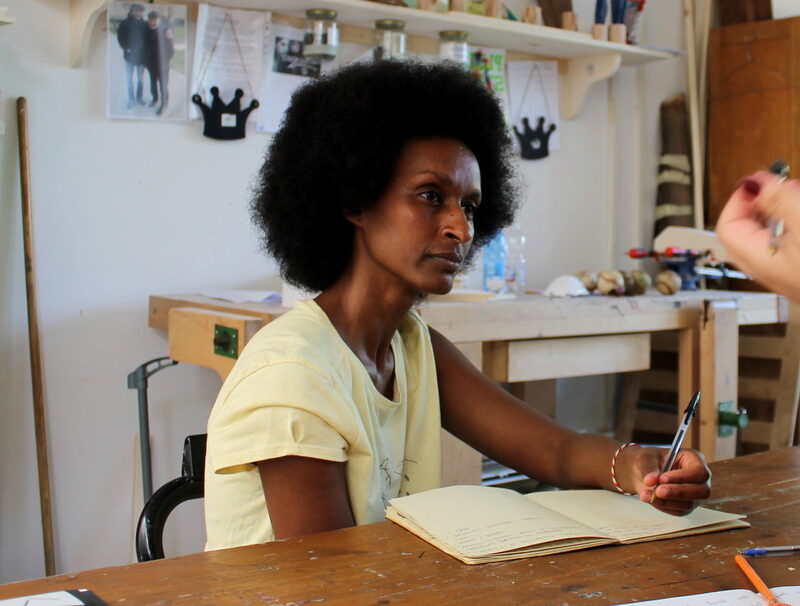 Muna Mussie is an Eritrean artist, who began her career as a performer in 1998 in Italy. Since then, she has approached new ways of being on scene and directed several plays – ‘Madre-patria‘ (2006), ‘Più che piccola, media‘ (2007), ‘Con Permesso‘ (2008), ‘Ti ho sognato, ma non eri il protagonista‘ (2009). Muna has collaborated with visual artists and filmmakers, among others Flavio Favelli and Luca Mattei, and in Brussels she is currently working on ‘Monkey see, Monkey do‘ with the Swiss artists Giorgia and Muriel Del Don. In Muna’s own words, “Precarious identity and the subtle ambiguity of everyday life are the base of my artistic research. The space of the action, vision and experience collide in short-circuits of acts and declarations that do not always coincide”.